Often weighing more than 80,000 pounds, large commercial eighteen-wheelers require the skill of attentive drivers and the oversight of responsible trucking companies. Due to their excessive weight and size, tractor trailers are involved in some of the most devastating collisions that occur on America’s roadways. If you or a loved one has been injured in any type of truck wreck, please contact attorney Jim Miron today online or at 203-339-5991 for a complimentary initial consultation. Jim helps injury victims from across Connecticut, including the Greater Bridgeport, New Haven, Stamford, and Waterbury areas. Usually, when discussing matters of personal injury and vehicle damage, the word “accident” is used interchangeably with “crash” and “wreck” to describe the unfortunate event. However, these words are far from interchangeable. The word accident implies that no one is at fault. But the truth is that in most “accidents” someone is at fault, and it was his or her reckless, careless or negligent actions that caused your wreck and subsequent injuries. Truck driver fatigue: Federal regulations strictly mandate the number of hours truck operators are allowed to drive between rest cycles. Unfortunately, deadline pressures cause many drivers to push themselves beyond their limits. In fact, the Federal Motor Carrier Safety Administration (FMCSA) reports that 13 percent of all commercial truck crashes are caused by driver fatigue. Aggressive driving: Rude gestures, deliberate obstruction and hostile tailgating all constitute aggressive driving. Other examples of aggressive driving can include frequent and unsafe lane changes, failure to signal or yield, disregard of traffic signs and signals and excessive speed. Substance abuse: Operating any vehicle on drugs or alcohol impairs judgment, motor skills and reaction time. However, the use of stimulants to combat fatigue is rampant in the trucking industry. According to a study by the Center for Substance Abuse Prevention (CSAP), 17 out of 20 truck operators say they can easily find drugs at truck stops. Insufficient driver training: Licensed truck drivers must pass examinations of regulated safety precautions, industry rules and driving skill. However, inexperienced drivers get behind the wheel every year without critical training. Trucking companies have an obligation to ensure their drivers are properly trained and follow all necessary protocols. Improper truck maintenance: Federal law requires semi truck operators to conduct a specified number of equipment and safety inspections before any driving session, even after just a short break. If a driver fails to maintain the tires, trailer, cab or brakes, the results can be deadly. Excess weight or improperly secured loads: The protocols for loading and securing cargo within a semi trailer are strictly regulated under federal law. Regardless of the person loading the truck, it is the driver’s responsibility to inspect cargo before departing and periodically during transport. Dangers arise when cargo is poorly secured, unbalanced or overloaded. 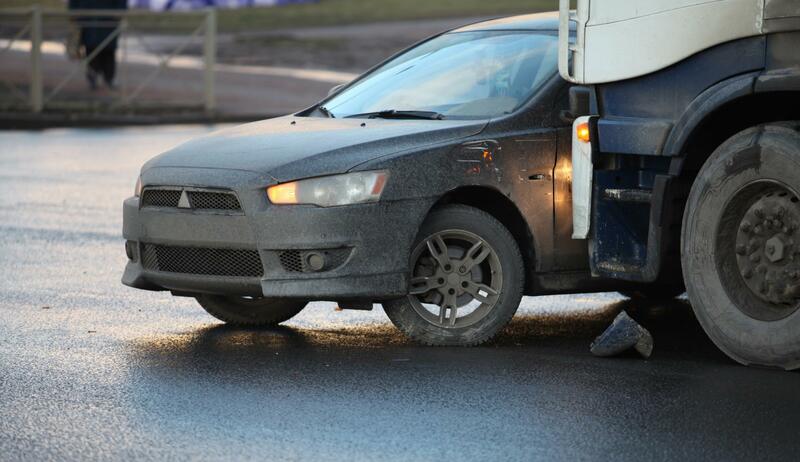 Defective vehicle or parts: Not all wrecks are caused by careless or reckless drivers or trucking companies. In some cases, rigs or specific truck parts are defective, putting the safety of drivers, passengers and other motorists at risk. Defective parts can lead to brake failure, acceleration problems, faulty electrical systems and tire blowouts. After a serious wreck, it is unlikely that you will be able to immediately assess the entire sequence of events and identify the true cause of your crash and the parties responsible for your injuries. 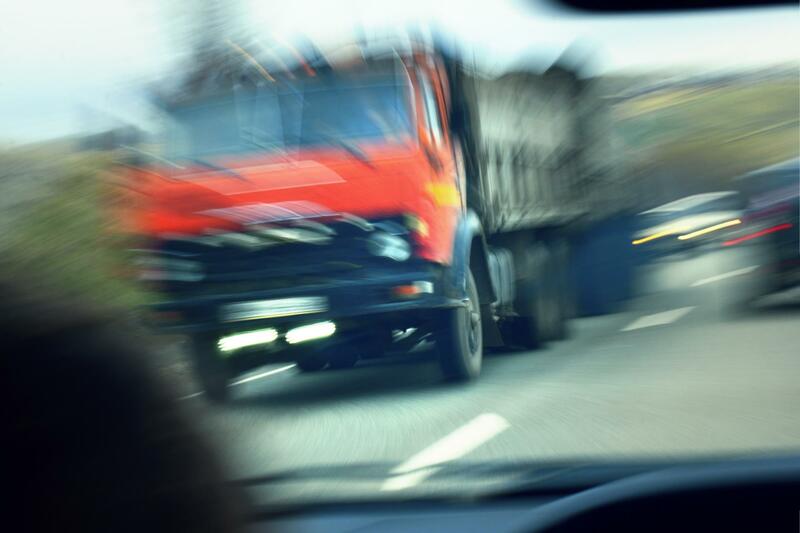 Although all traffic wreck cases can be complex, cases involving eighteen wheelers and other large commercial trucks are particularly complicated and require the knowledge and skill of an experienced truck accident attorney to determine the cause of the crash. Truck driver: The operator of the truck may be liable if it is proven that he or she demonstrated reckless, careless or negligent behavior that contributed to your crash. Truck owner: Irresponsible truck owners and their inadequate safety protocols can play a role in the maintenance or driving issues that led to your wreck. Trucking companies: Companies that hire, train and supervise truck drivers can be held liable for the crash if their careless or reckless practices contributed to a driver’s poor training or pressured a driver to work beyond the legal hours-of-service limits. Loading companies: In order to ensure public safety, it is crucial that truck cargo is properly loaded, balanced and secured. When cargo is improperly loaded, it can shift, fall, or cause the rig to tip. Freight owners: If freight owners fail to provide trucking companies and drivers with all pertinent information about the cargo, it can affect the truck’s handling, transport and safety. Shipping companies: In some instances, the company responsible for shipping the cargo can be held responsible for a crash. Municipal entities responsible for the design and maintenance of roadways: When a road is poorly designed or inadequately maintained, it creates a number of dangerous conditions. Designers and manufacturers of truck parts: Whether a defect arises during the design or manufacturing of a vehicle component, defective truck parts can easily lead to a variety of potential dangers on the road. Eighteen wheelers and other large commercial vehicles can cause life-altering devastation when they crash. In addition to severe physical pain, these injuries often require extensive medical treatment and ongoing rehabilitation therapy. Your injuries may likely prohibit you from returning to work and earning a wage to support yourself and your family. You may find yourself unable to perform daily tasks, like driving your car, bringing your kids to school or going to the grocery store. In addition to your physical suffering and limitations, you may feel frustrated, frightened and unsure of what to do next. Attorney Jim Miron has seen lives forever changed because of reckless, careless and negligent drivers. He knows what a difficult time this is for you and your family, and he takes these cases very seriously. In the most tragic cases, truck collisions and crashes result in the wrongful death of a loved one. Although no monetary award can undo the harm of this incredible loss, compensation can provide you with the resources you need to cover end of life expenses and begin to rebuild your life. Compensation also gives you the opportunity to hold the responsible party accountable, and hopefully helps to prevent similar negligence in the future. Only certain people are entitled to file a wrongful death lawsuit. Like all personal injury cases, there is a statute of limitations that mandates the amount of time you have to file a wrongful death claim in Connecticut. Jim Miron can determine whether you still have time to file your claim. It’s important to understand that insurance companies don’t have your best interests in mind. Even your own insurance company is in the business of making a profit, not paying out settlements. Don’t go it alone. Attorney Jim Miron is committed to helping you navigate this complex process and serving as your trusted advocate. The damages that you are eligible to receive will be determined by the specific details of your case. Although a truck accident attorney can’t guarantee specific outcomes or monetary awards in your case, you can rest assured that attorney Jim Miron will provide the skilled, experienced and passionate representation you need, and pursue the full and fair compensation you deserve. If someone else’s carelessness, recklessness or negligence has caused you harm or led to the loss of as loved one, you need an experienced truck accident lawyer with the knowledge, skill and depth of resources need to hold the responsible parties accountable. Call attorney Jim Miron today at 203-339-5991 for a complimentary initial consultation. Jim welcomes clients from the Greater Bridgeport, New Haven, Stamford and Waterbury communities and other areas throughout Connecticut.